Corso Magenta is one of the most central streets in Brescia, that hosts a deconsecrated church, Saint Barnaba’s, and two important schools, a secondary school focusing on humanities, “Arnaldo”, and “Luca Marenzio” Conservatory . 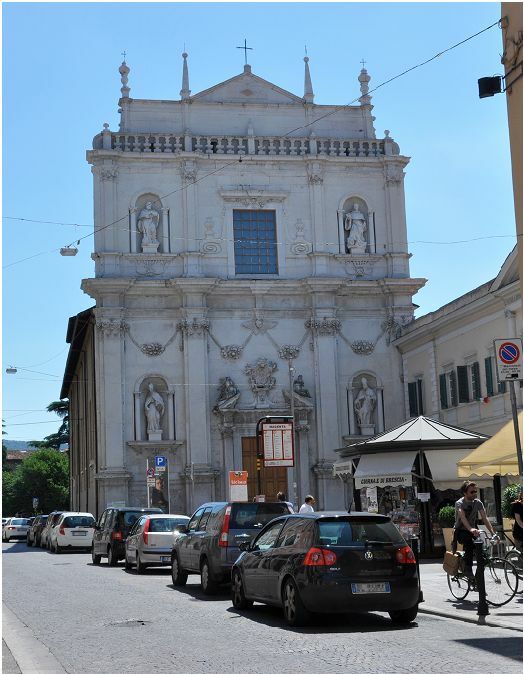 The street has some cultural elements, such as Saint Barnaba Church, built in the XIII century at the request of the bishop of Brescia, Berardo Maggi, and it was refurbished lots of times: at the end of 1200 the cloister was enlarged, and then offered to “Eremitani” of Saint Agostino, expelled from the city in 1457 for their scandalous behaviour. The “Community of Observance of Lombardy” substituted for them, and in 1490 they built a library. 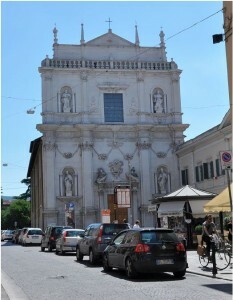 The last alteration was the Baroque reconstruction that gave a marble facade to the building. Angela Merici frequented the church, and according to a tale, here there would have been her levitation. For this reason, many worhippers stop there and pray the saint. The church was then deconsacrated and today it is an auditorium and a conference hall. 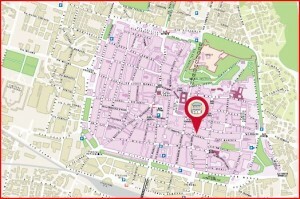 Its courtyard hosts “Luca Marenzio” conservatory, that also occupies a section of a nineteenth-century palace. Corso Magenta was scene of the construction of barricades, in occasion of the Ten Days of Brescia. All along the street there are many shops and popular bars, in particular among young people, for a spritz or a lunch all together; there is also the Arnaldo secondary school focusing on humanities, an important high school in Brescia. 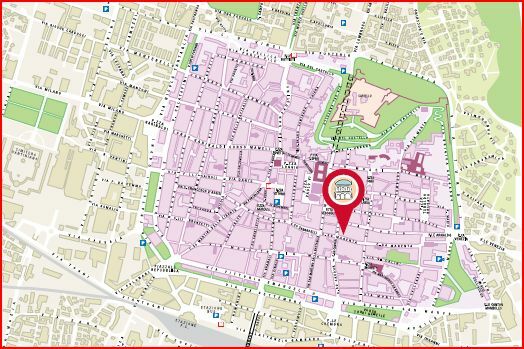 It is important to remember that in this street there was the first headquarter of Wührer brewery, the oldest beer factory in Italy, founded in 1829 by Franz Xaver Wührer.